Temperatures have been dropping as the Arctic Freeze passes through our area. Be sure to protect the three Ps: Pets, Plants, and Pipes. A Hard Freeze Watch has been issued by the National Weather Service until Monday morning. A very low wind chill is expected Sunday evening in addition to the freezing temperatures. 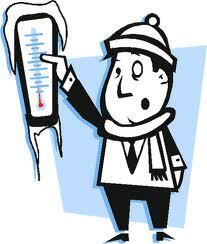 Bring outside pets in, cover your plants and protect poorly insulated pipes. This entry was posted on Sunday, January 5th, 2014 at 3:21 pm	and is filed under Latest News. You can follow any responses to this entry through the RSS 2.0 feed. You can leave a response, or trackback from your own site.